Do you know how to fix Rochester's schools? 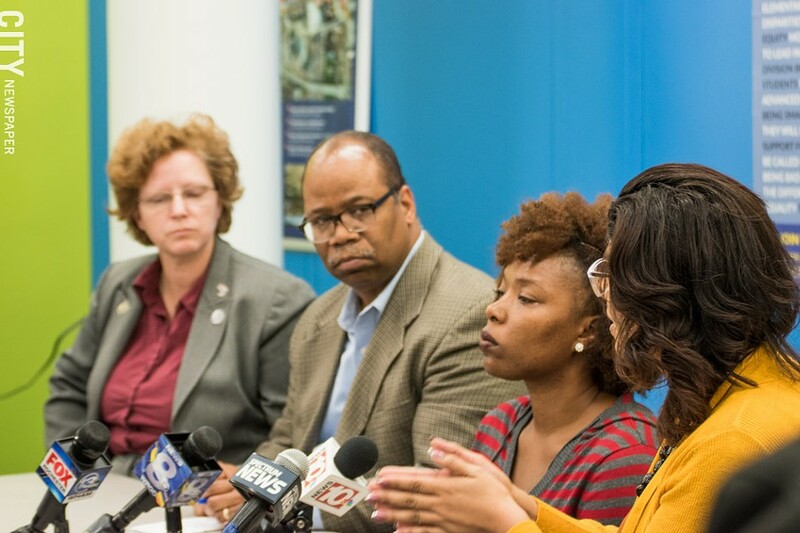 PHOTO BY JACOB WALSH School board members (from left) Willa Powell, Van White, Natalie Sheppard, and Beatriz LeBron had different responses to Jaime Aquino’s report on the district. What’s the answer to the problems in the Rochester school district? A lot of people think they have answers, and maybe some of them do. I hope so. Because this district is in deep trouble, and a lot of things are happening that will affect the future of the district and its children. Frankly, it’s hard to think of a time when the district has faced more challenges. And wrong decisions, by elected officials and the public, will have terrible consequences. 1) The current superintendent, Barbara Deane-Williams, leaves her job this week, half a year before the end of her contract. She’s the second superintendent in a row to leave because of intense board dissatisfaction with the person they had hired. The school board, which will pick Deane-Williams’ successor, is sharply divided. That could complicate the search – and it could limit the number and quality of applicants. 2) Four of the seven board seats are up for election in November, and board President Van White is running for City Court judge. White's term isn’t up until 2021, but if he's elected to City Court, he’ll leave the board in January. So the large majority of board members could be new next year. New blood is important, but so is institutional knowledge and experience. 3) New York's primary elections used to be in September, but the state legislature has voted to hold them on the same day as federal primaries: June 25. As a result, political parties and potential candidates have little time to prepare. Local committees in the Monroe Democratic Party – the only party that has elected people to the school board in recent years – are screening candidates right now. And the party’s designating convention is on February 13. So the campaign season has already begun. 4) In the midst of all this, the district has to complete its response to Jaime Aquino’s report and send it to Education Commissioner MaryEllen Elia by February 8. The response is supposed to detail how the district plans to correct the problems Aquino cited. Elia and the Rochester-area state Regents have made it clear that if Elia doesn’t like what she gets, the state will step in in some way. 5) Also ready to step in in some way: Rochester Mayor Lovely Warren, who released a report last week summarizing the comments she got at her December public meetings about the school district. Among the conclusions: A strong majority of those at the meetings want City Hall, and the mayor herself, involved with the district. Warren’s talking about the possibility of some kind of partnership with the district, which presumably could range from the city expanding its own services in the schools – and perhaps helping pull in outside health-care and other specialties – to actual participation in the management of the district. It’s obvious that something has to change. But I worry that too many of us think this is less complicated than it is. The district has severe management problems, and the right superintendent should be able to deal with that. But two other problems won't be easy to correct: poverty and racism. Both are having a terrible impact on the district and its children. Any plan – from the district or the mayor – that doesn’t address them head on will fail. And it’s not a good sign that many leaders, including the governor, think that urban school districts’ problems can be solved without more money.